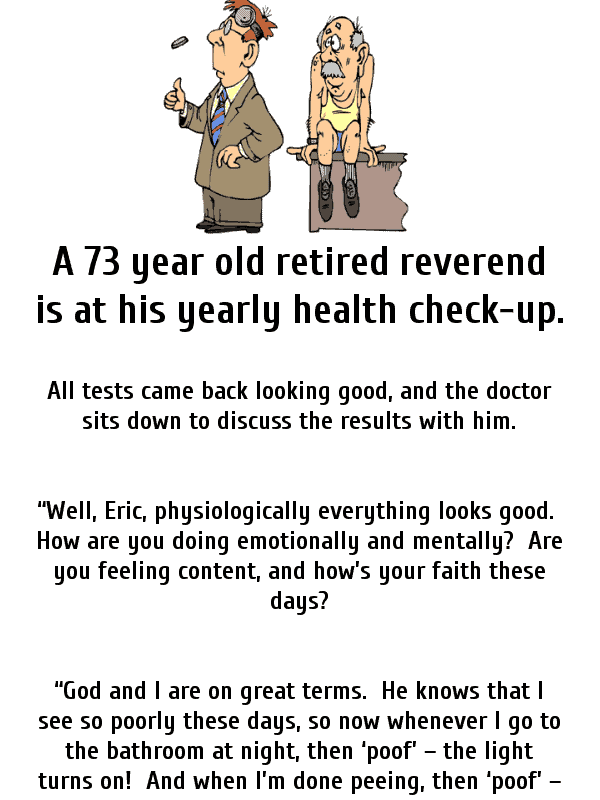 A 73 year old retired reverend is at his yearly health check-up. All tests came back looking good, and the doctor sits down to discuss the results with him. 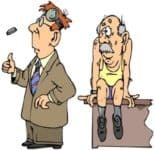 “Well, Eric, physiologically everything looks good. How are you doing emotionally and mentally? Are you feeling content, and how’s your faith these days? “Fantastic! That sounds marvellous,” says the doctor. A couple of days later the doctor calls Eric’s wife: “Good day, Anna. Eric’s vitals are looking good, and he seems to be doing well.